Ionomycin is commonly used to modify intracellular calcium concentrations and to calibrate fluorescent calcium indicators. It is also known for its antiproliferative effects. 1) J Biol Chem 275, 7071 (2000). 2) J Immunol 155, 3297 (1995). 3) J Urol 162, 916 (1999). Anhydrous DMSO (dimethyl sulfoxide; methyl sulfoxide) is recommended for preparing stock solutions of AM ester dyes, reactive dyes and other related moisture-sensitive products. This kit provides a range of calibration buffers with accurate calcium concentrations and is useful for the calibration of fluorescent Ca2 indicators (1,2). 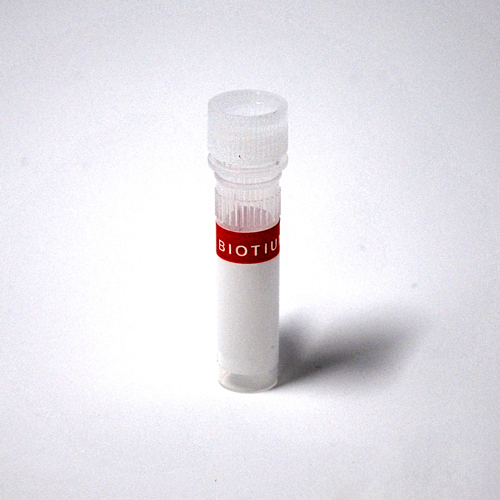 This product contains 50 mL each of components A and B.
Probenecid is commonly used to inhibit organic-anion transporters located in the cell membrane. Such transporters can extrude dyes and indicators and thus contribute to low signal or high background in assays due to poor cellular retention of dyes. Membrane-permeant form of Fluo-4 calcium indicator. Fluo-4 AM ester itself does not bind Ca2 , but it is readily hydrolyzed to Fluo-4 by endogenous esterases once inside cells. Membrane-permeant AM ester form of Fluo-3 that can be loaded into cells via incubation. Because of the relatively low water solubility of the AM ester, Pluronic F-127, a mild detergent, is often used as a dispersing agent to facilitate dye loading. BAPTA and its derivatives are calcium chelators that are commonly used to form calcium buffers with well-defined calcium concentrations. By injecting the chelators into cells or by incubating cells with the AM ester form of the chelators, one can control the cytosolic calcium concentration, an important means to study the roles of calcium.